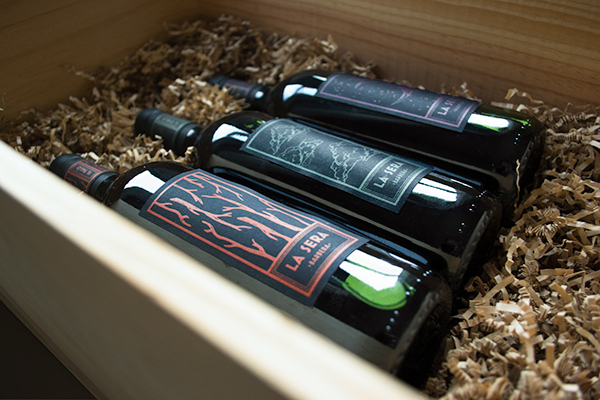 La Sera Wine bottle packaging. 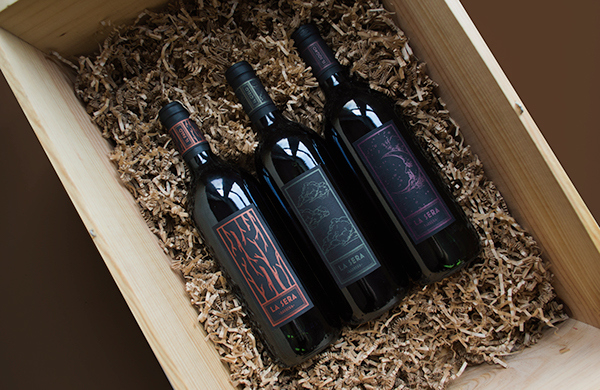 Silkscreened labels with metallic ink. 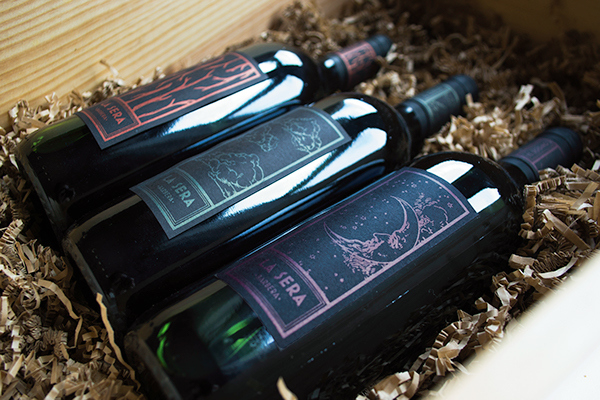 Each illustration represents each wine's name, Il Falo, Il Sogno, and Il Cielo. 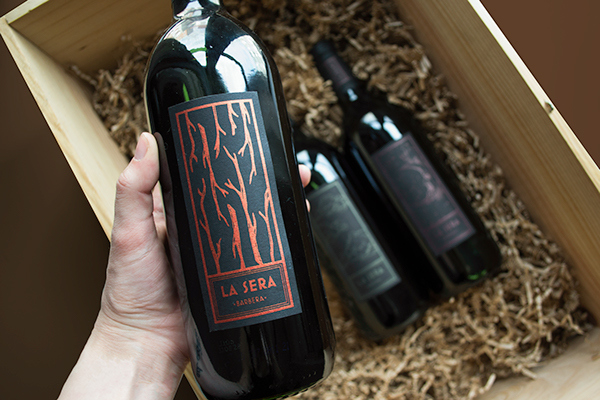 Wine packaging for La Sera wine. Silkscreened labels.